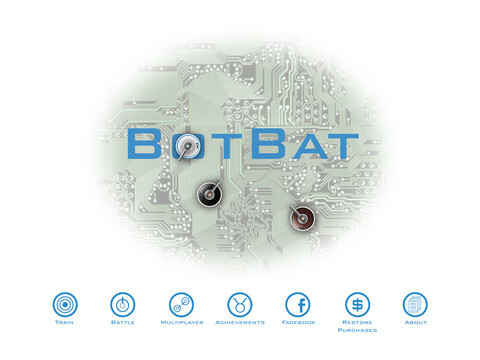 BOTBAT lets you pick and choose commands to be used for the brains of a robot tank. 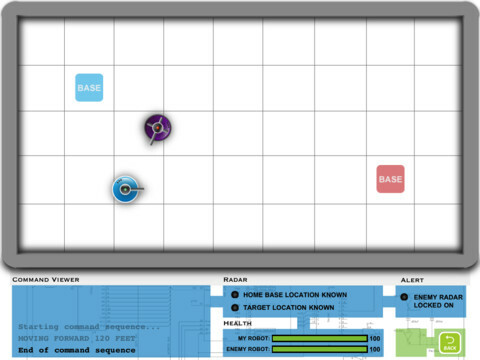 When you've designed your robot's brain, it's time to do battle! Go to the challenge round, and your robot will do battle with another robot! Your robot is going to fight your way with your rules. 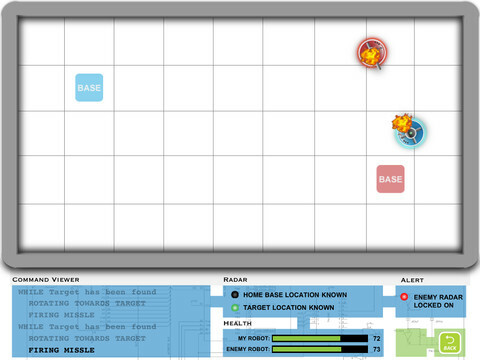 Have your robot go back to your base to replenish health, move and search for your target, and ATTACK! 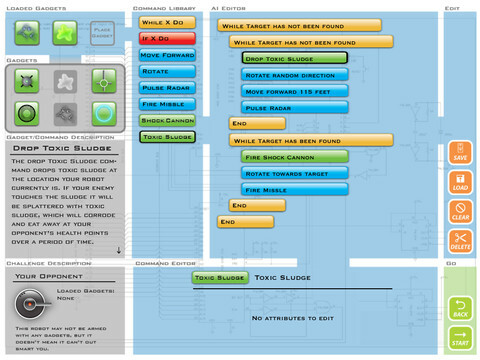 If you lose, modify your design to make your robot smarter for the next battle. You can also save your designs for future battles. Unlock cool stuff by completing achievements. Play in the game center against your friends. 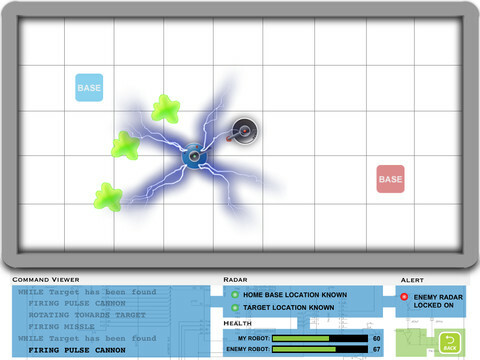 Arm your robot with exciting new weapons to become undefeatable. Any and all comments, question and suggestions are welcomed!